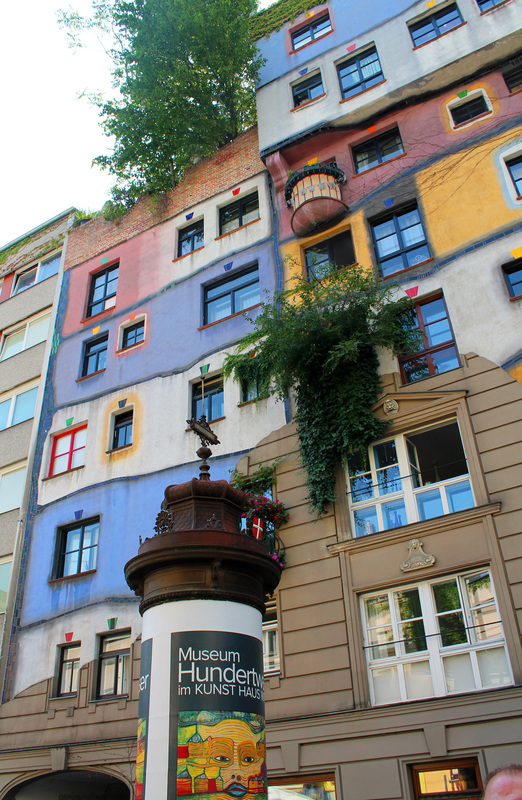 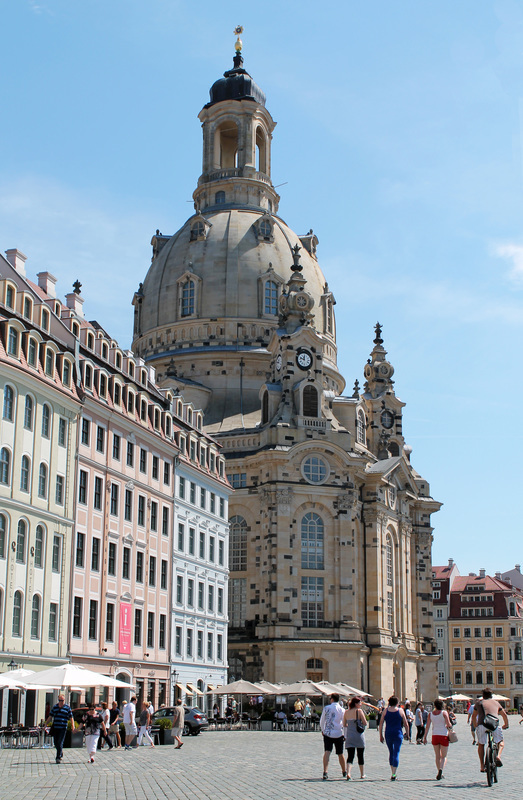 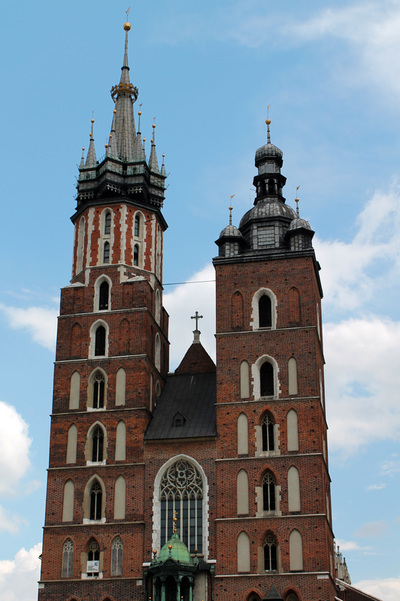 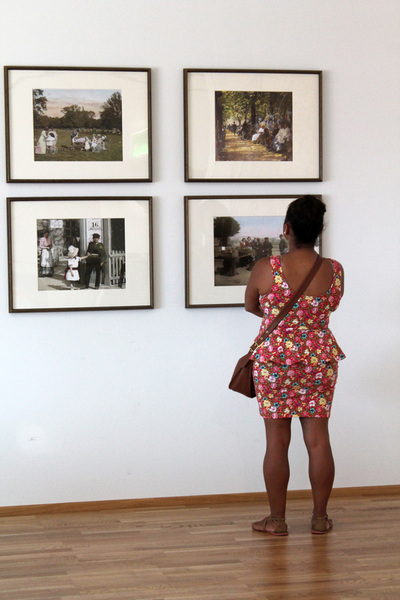 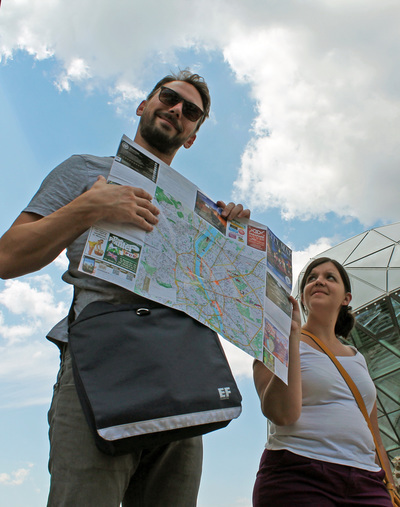 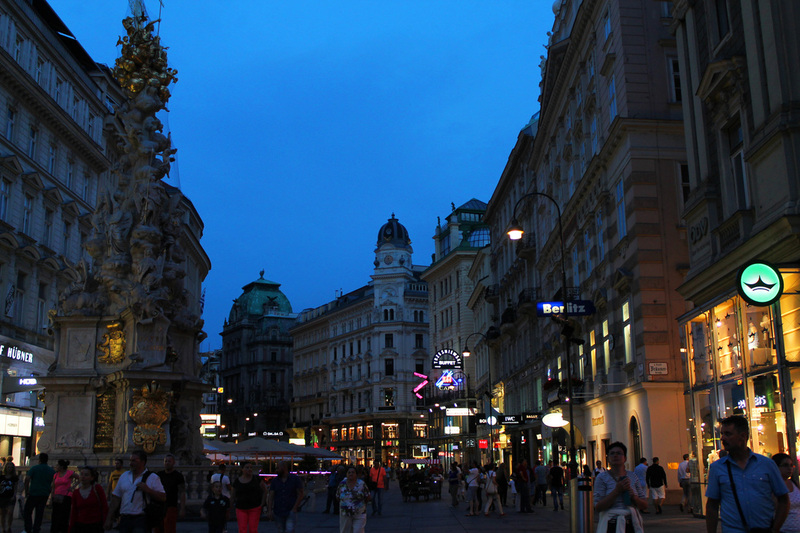 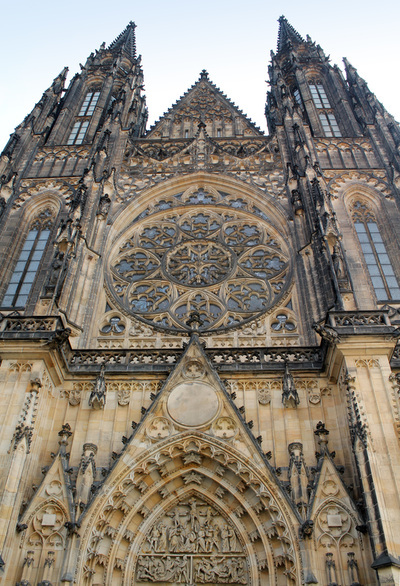 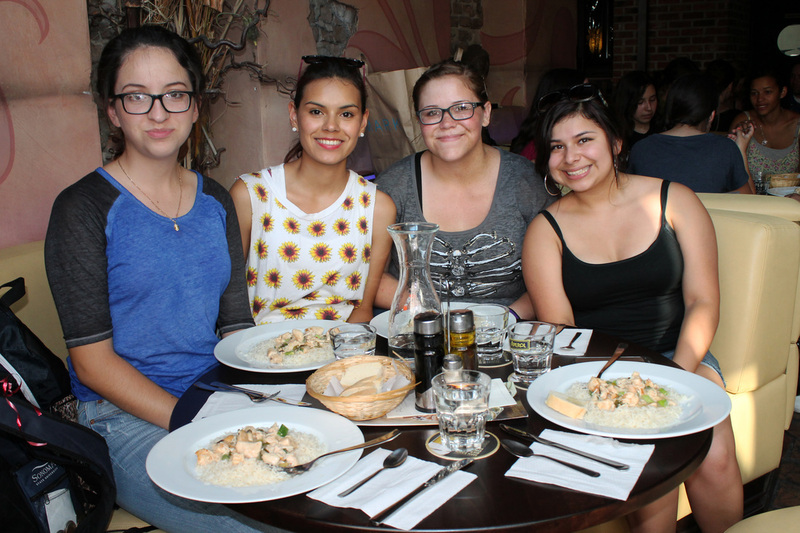 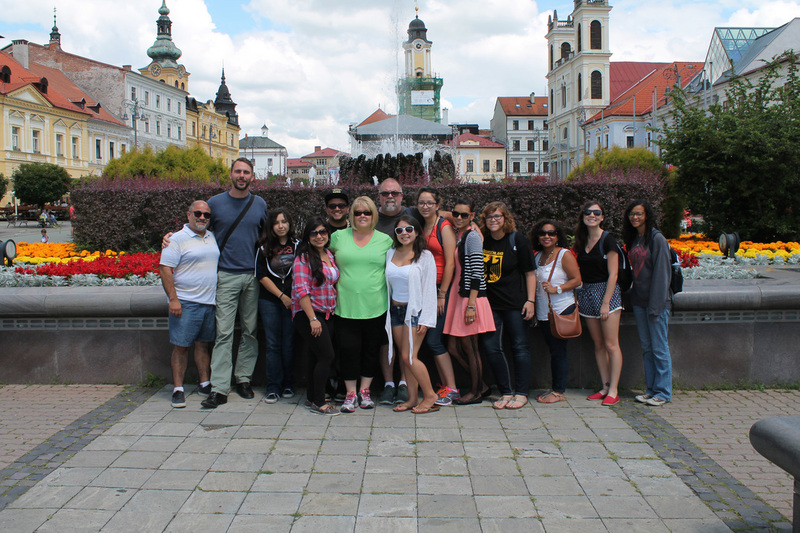 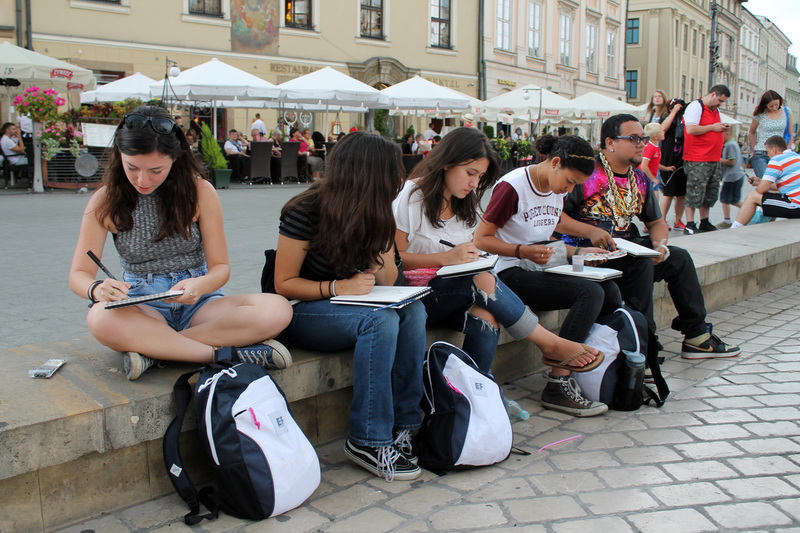 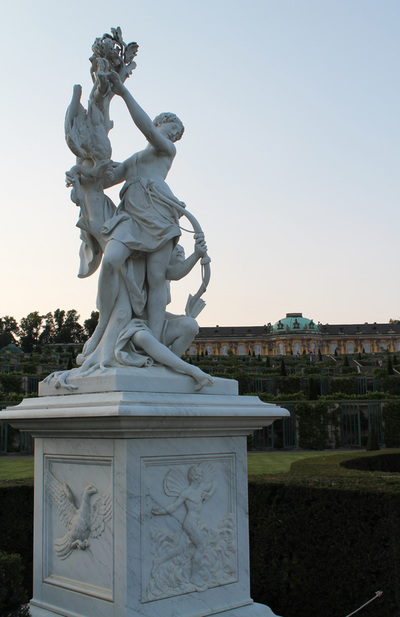 In July 2014, Jamielyn, Darius, Sabrina, Liz, Samantha, Carolina, Jessie and Michelle were the fourth group of scholarship recipients from the Reed Foundation, whose generous grant sent all eight CTEC students to central Europe for a free art study trip. Fellow CTEC student Kassie, Mr. and Mrs. Stragier, and Mrs. Tova Black as chaperones, also came along. 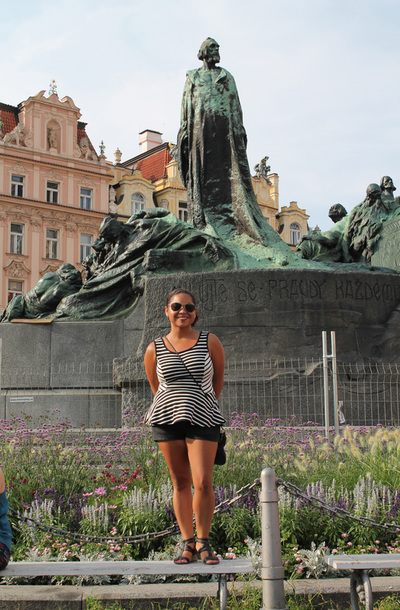 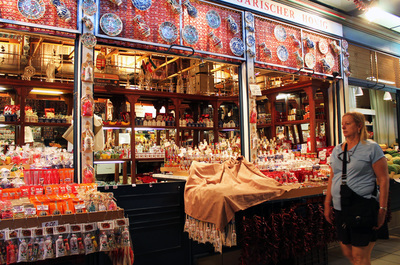 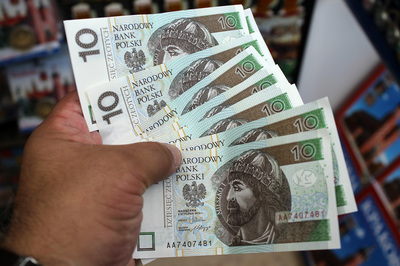 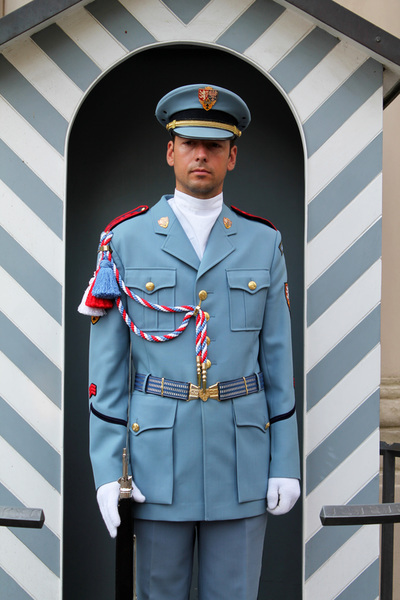 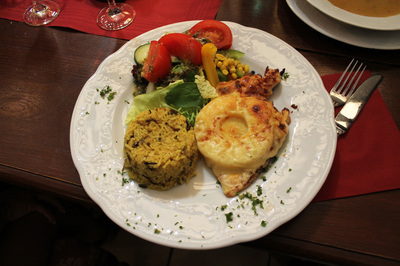 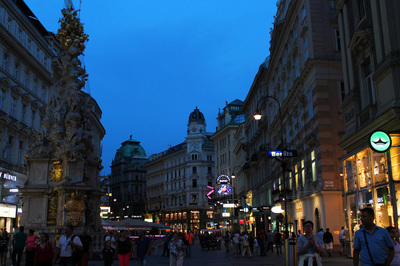 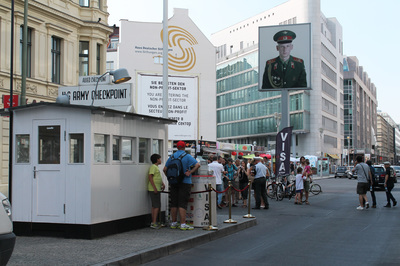 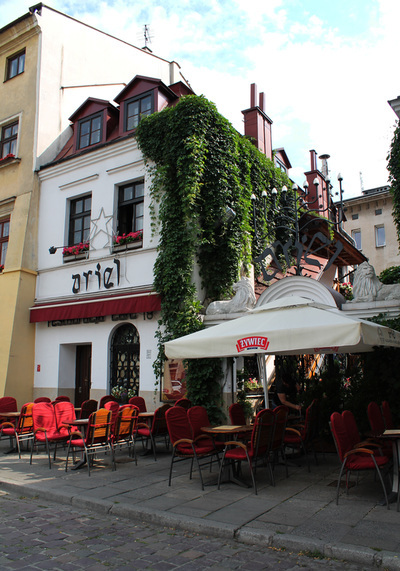 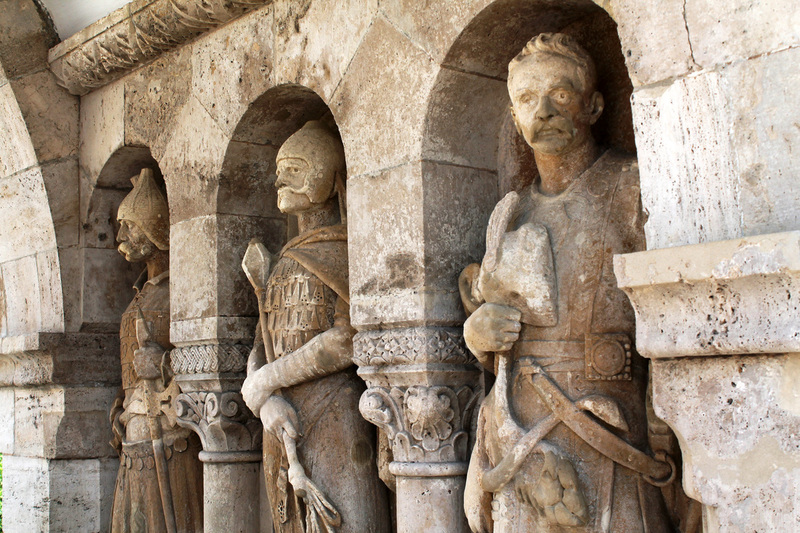 We visited Germany, the Czech Republic, Slovakia, Poland, Hungary and Austria. Our tour director was Daniel Scheppan and our tour company partner was EF Tours. 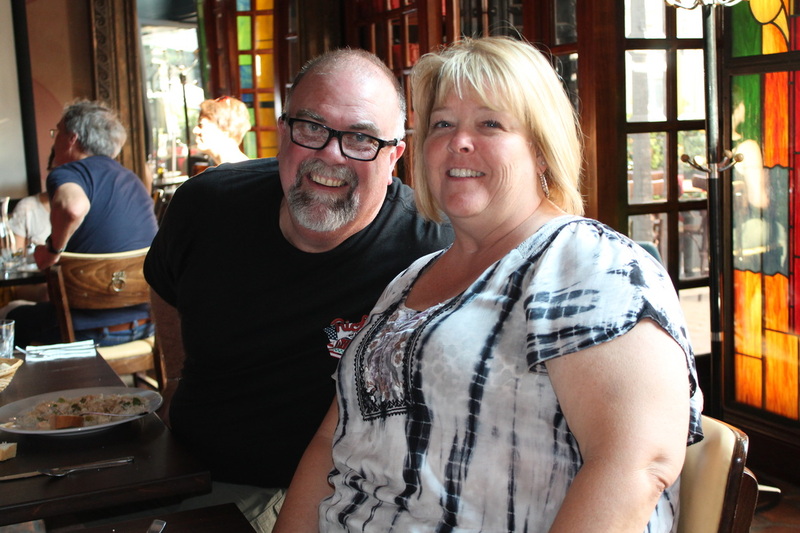 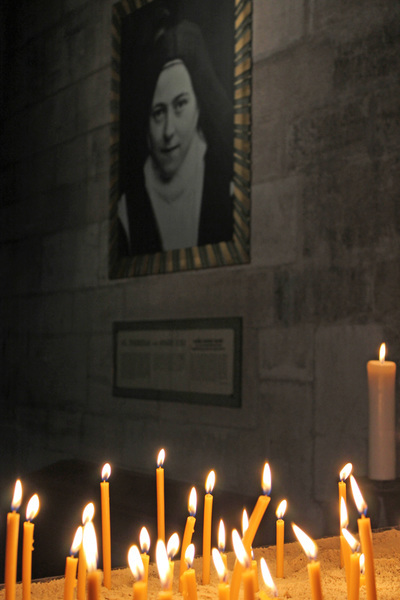 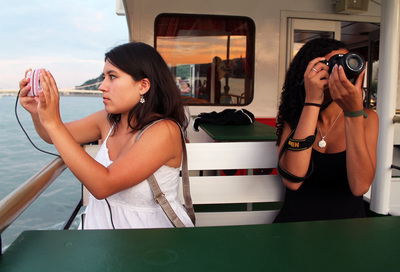 See photos and videos from our travels below. 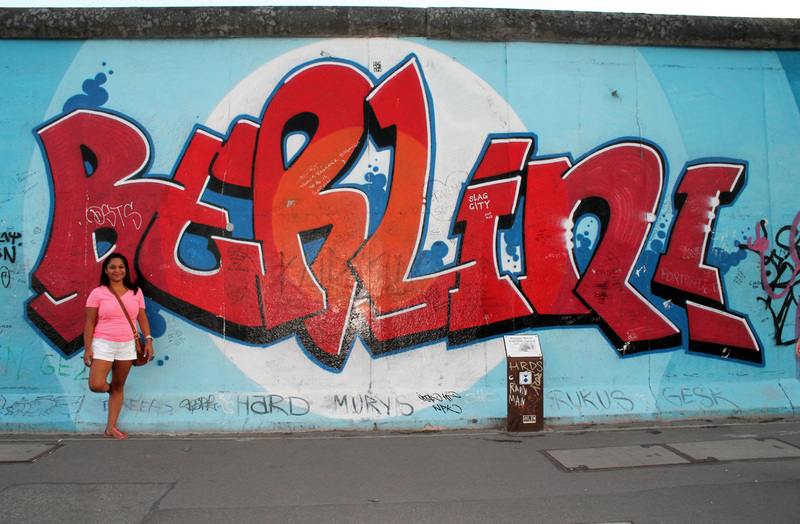 Tour Day One: My wife and fellow chaperone, Tova, at the Berlin Wall. 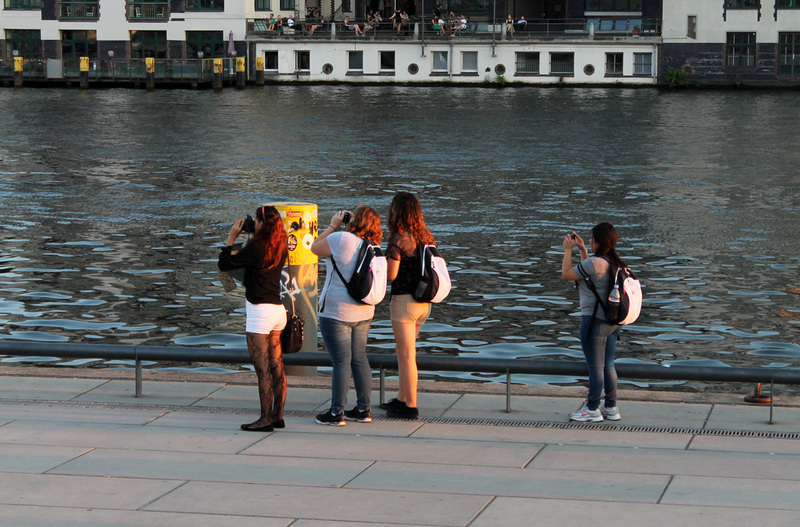 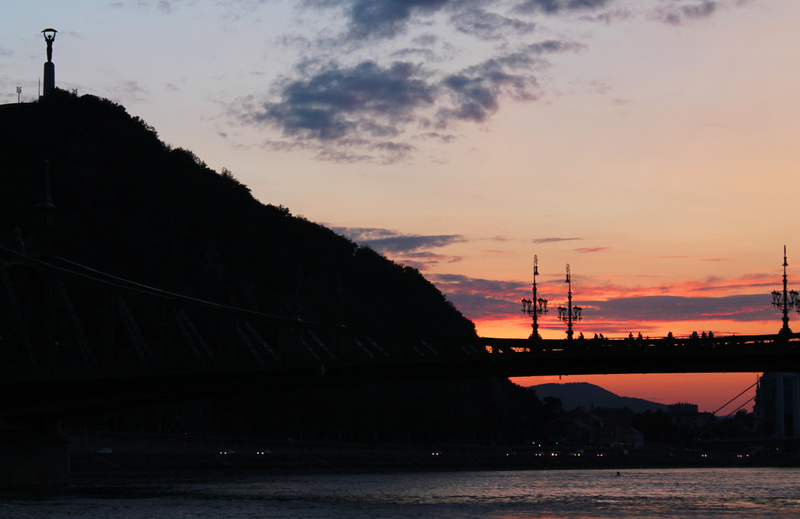 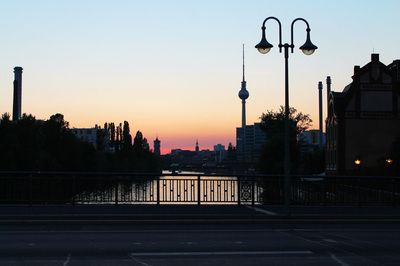 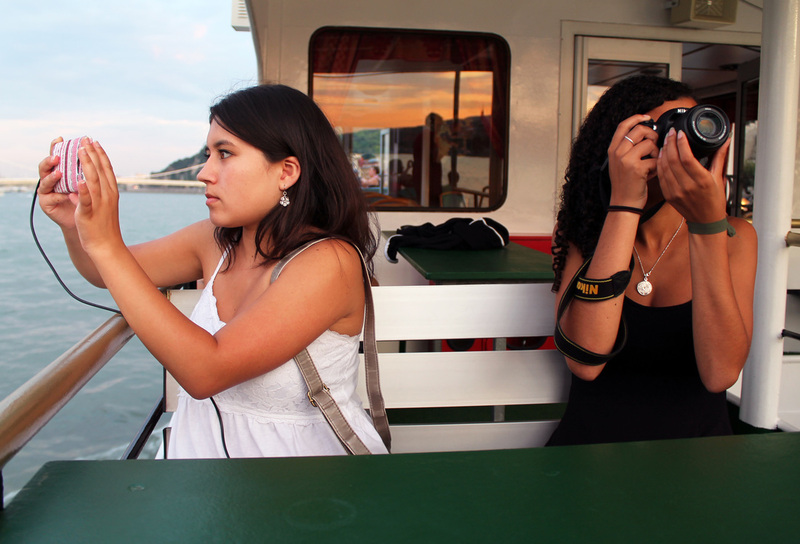 Scholars photograph the beautiful Spree river at sunset. The riverside of the wall at sunset. 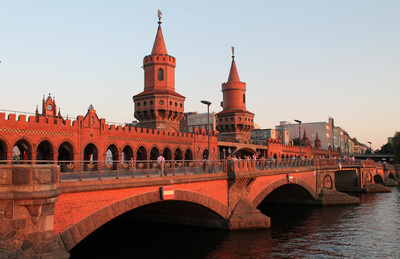 Bridge near our hotel. 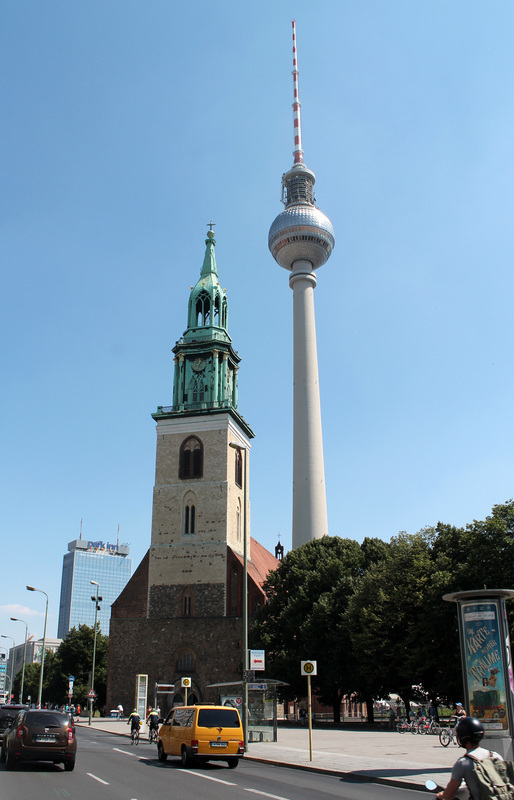 Alexanderplatz radio tower seen in the distance. 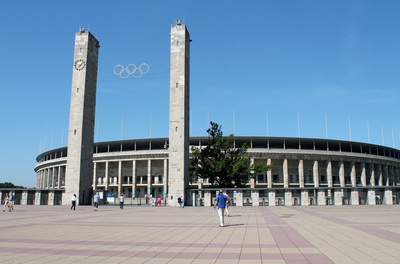 Olympic Stadium, built for the 1939 Games. 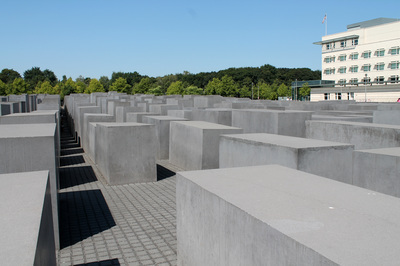 Monument to the Murdered Jews of Europe. Carolina, Lizbeth, Jamielyn and Samantha at dinner. 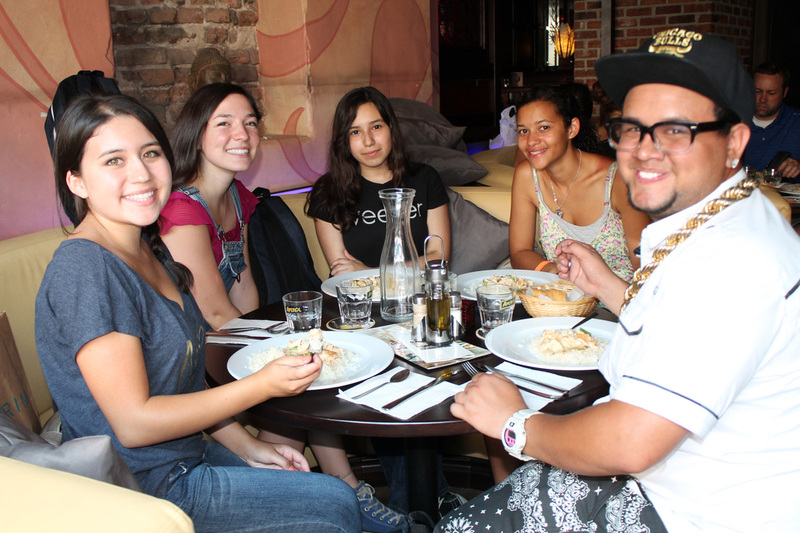 Kassandra, Michelle, Sabrina, Jessie and Darius. 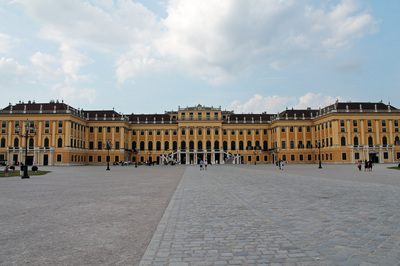 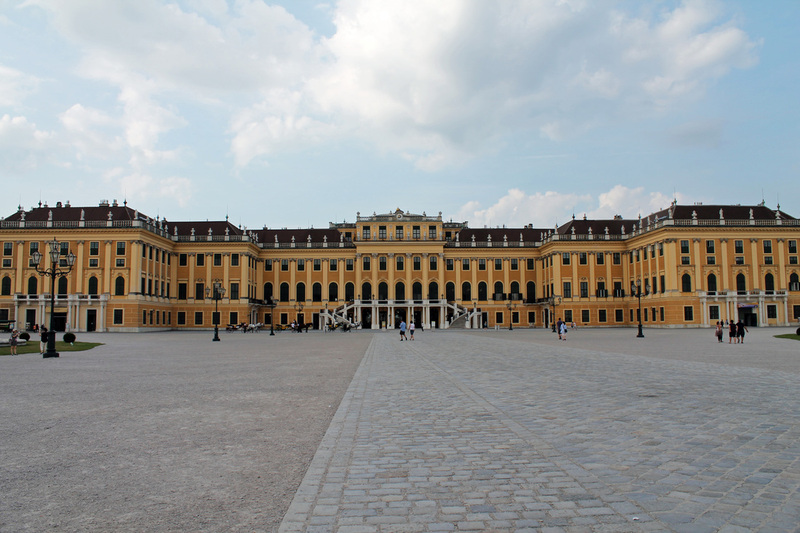 Palace of Frederick the Great. Wife Tova at the Jan Hus Memorial, Old Town Square, Prague. 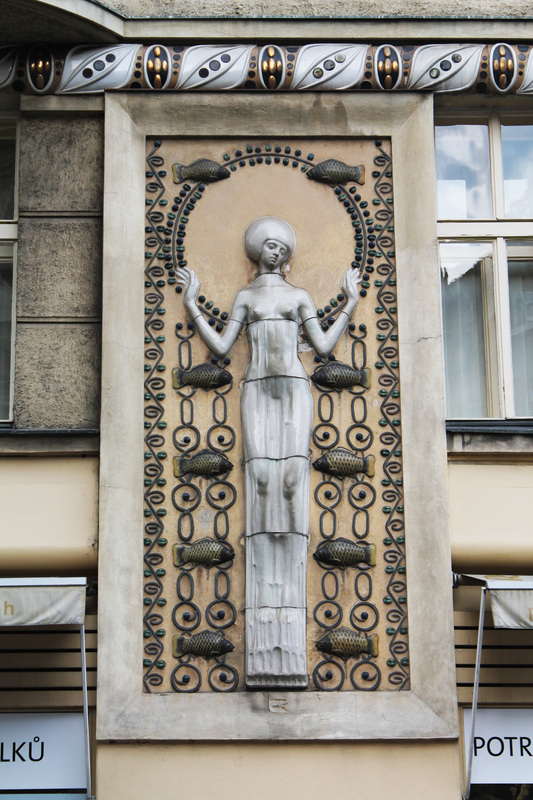 Art Deco building detail in Prague. 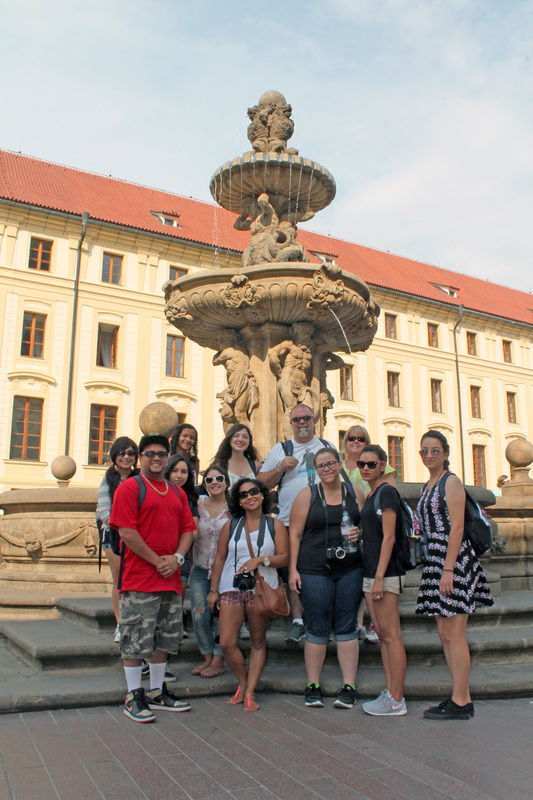 The group at Prague Castle. 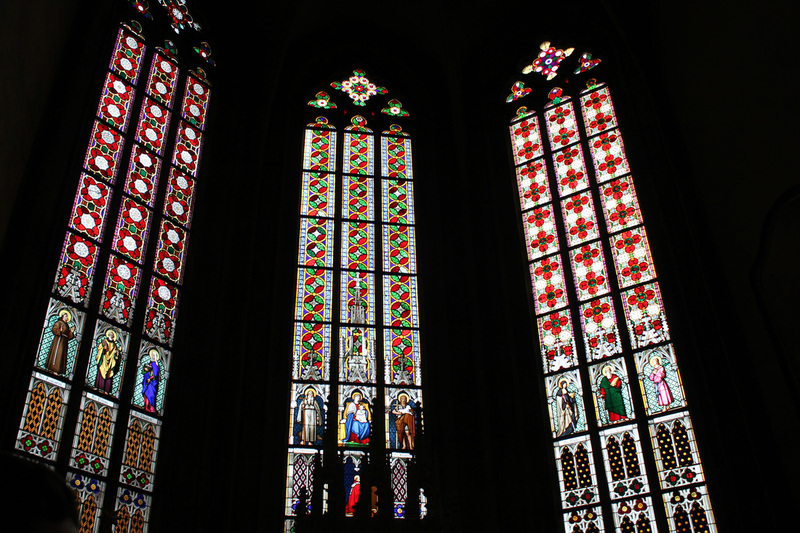 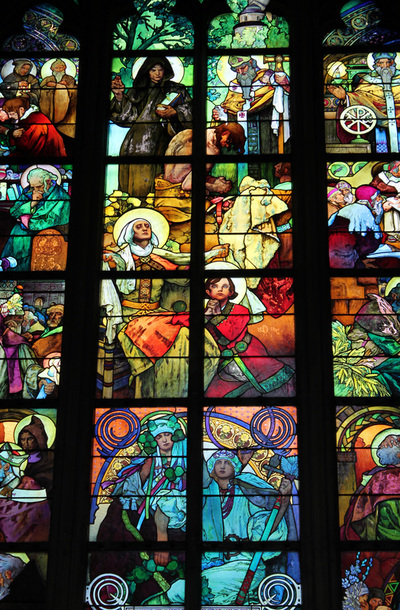 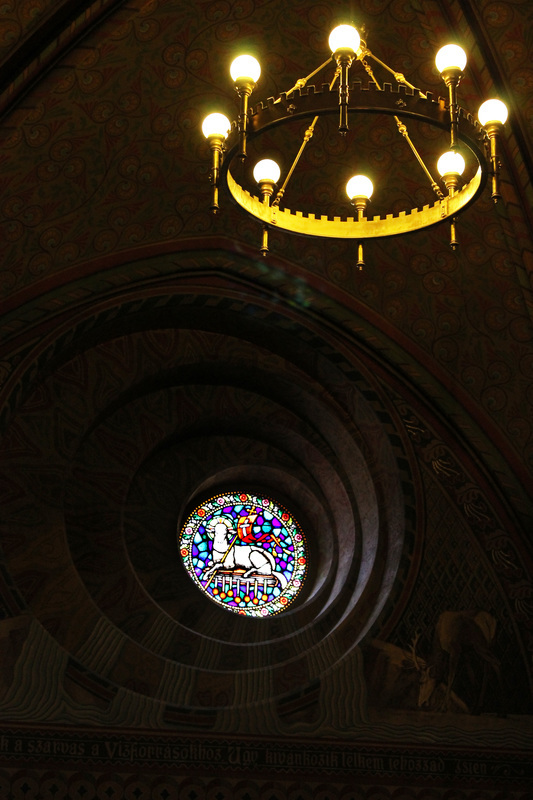 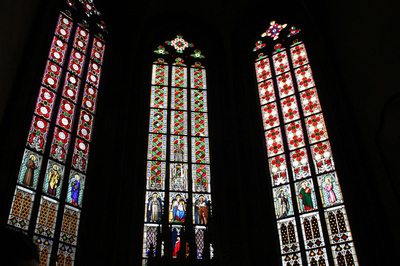 Stained glass at St. Vitus Cathedral. 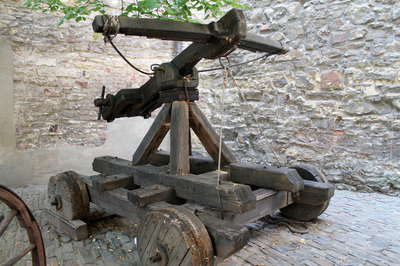 Giant crossbow in the "Golden Lane." 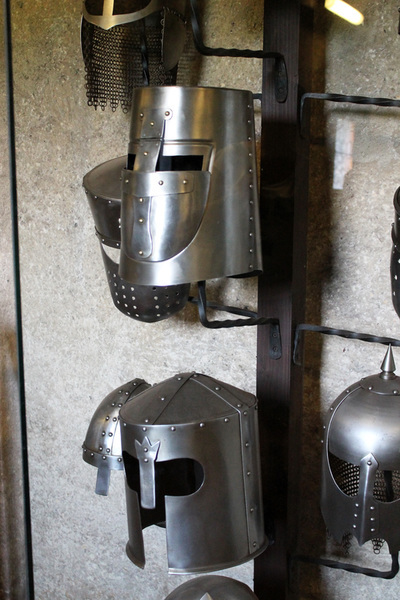 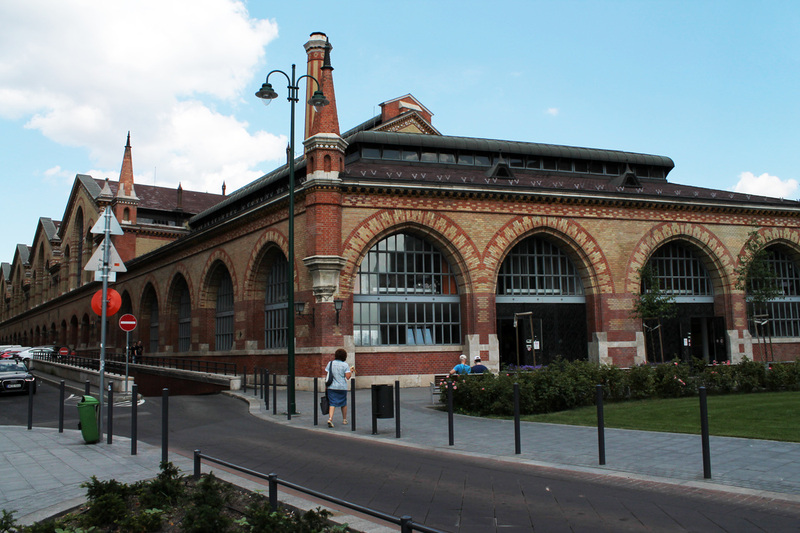 Armory at the "Golden Lane." 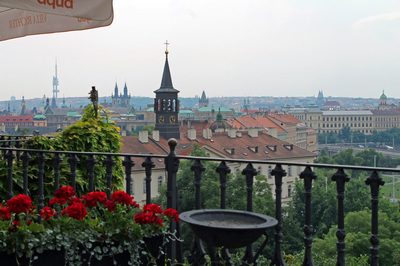 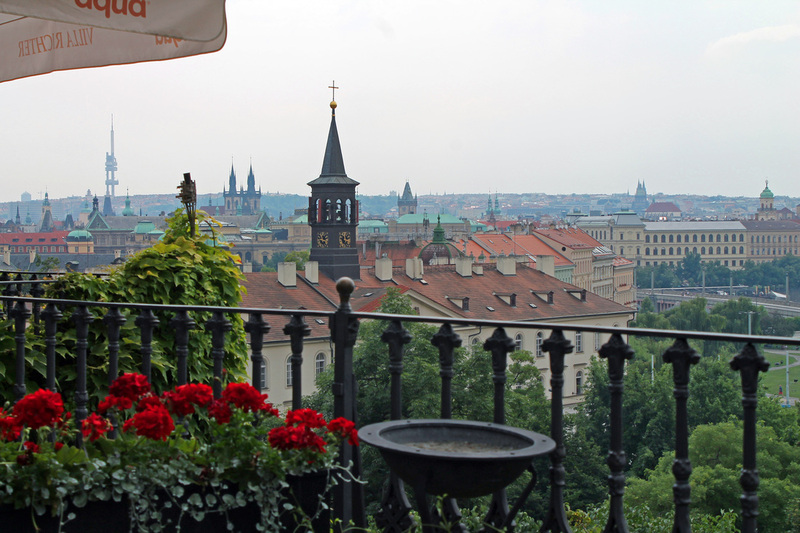 View of Prague from above the city. 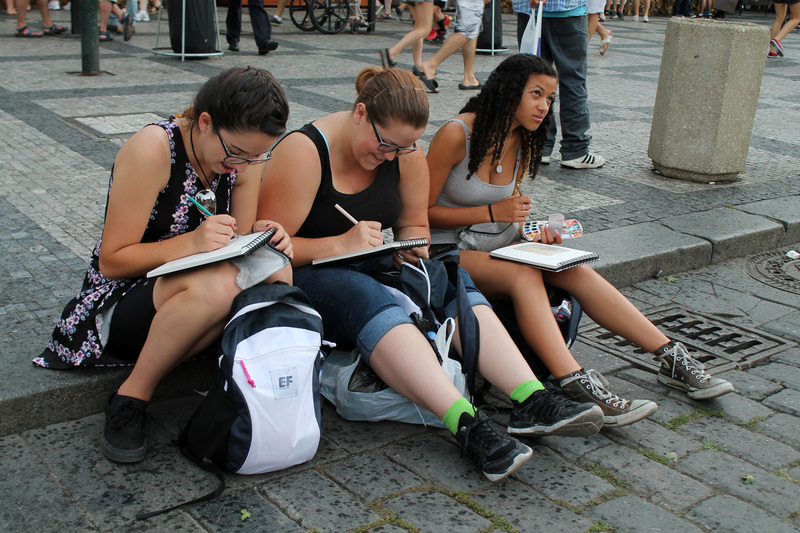 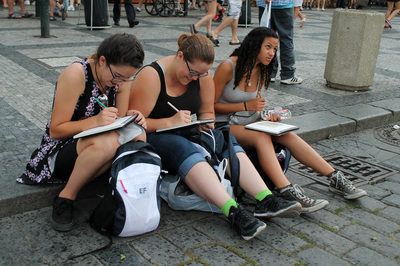 Sketching on the main square as the rain begins to fall. 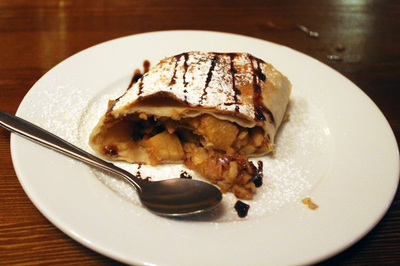 Strudel for dessert in Prague. 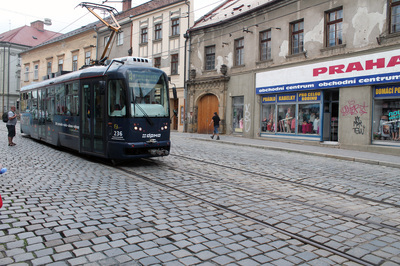 Map model of Olomouc, Czech Republic. 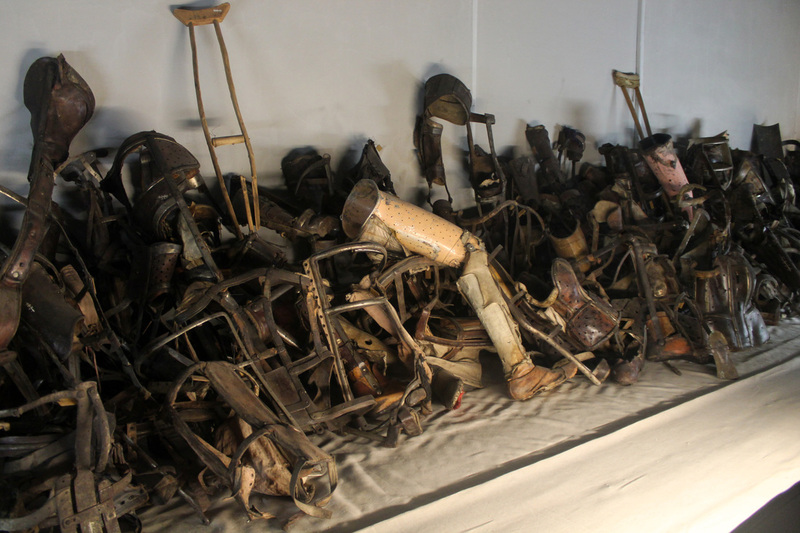 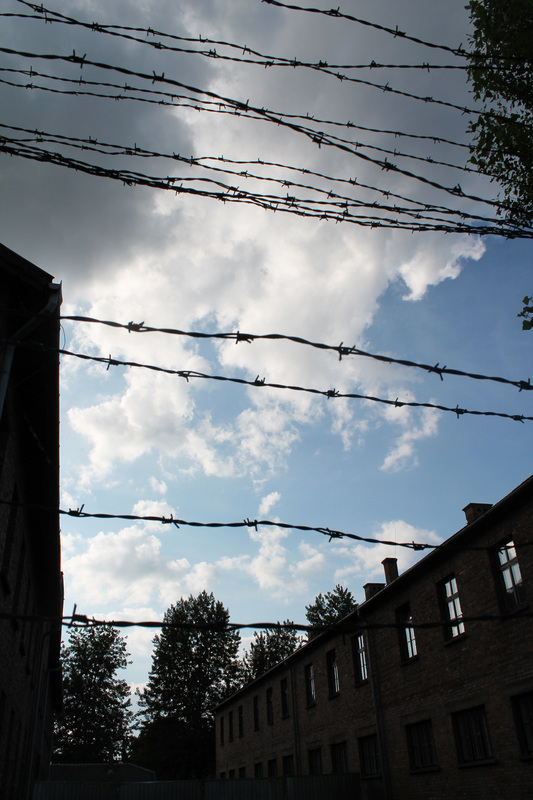 Collected prosthetics of murdered prisoners deemed "undesirable." 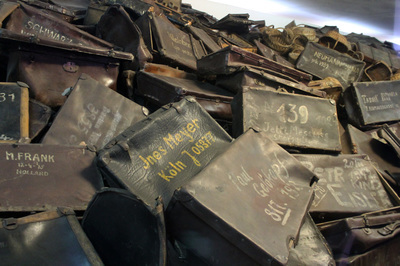 Collected baggage of murdered prisoners. 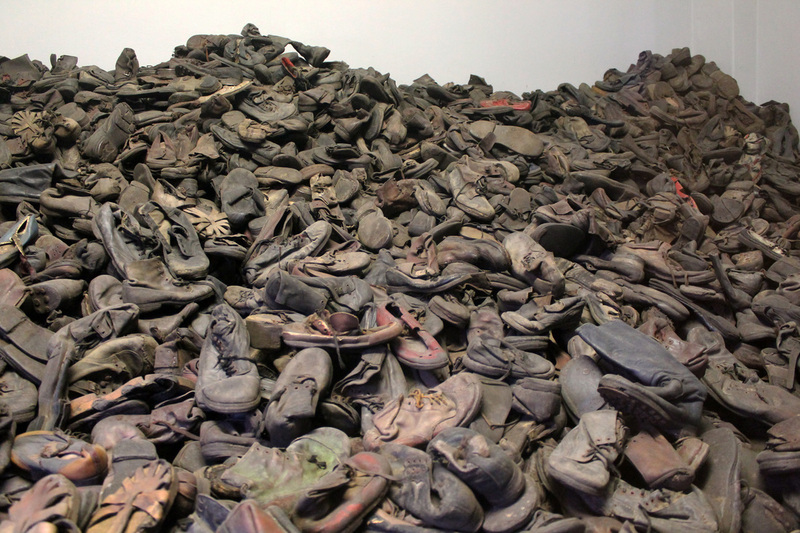 Collected shoes of murdered prisoners. 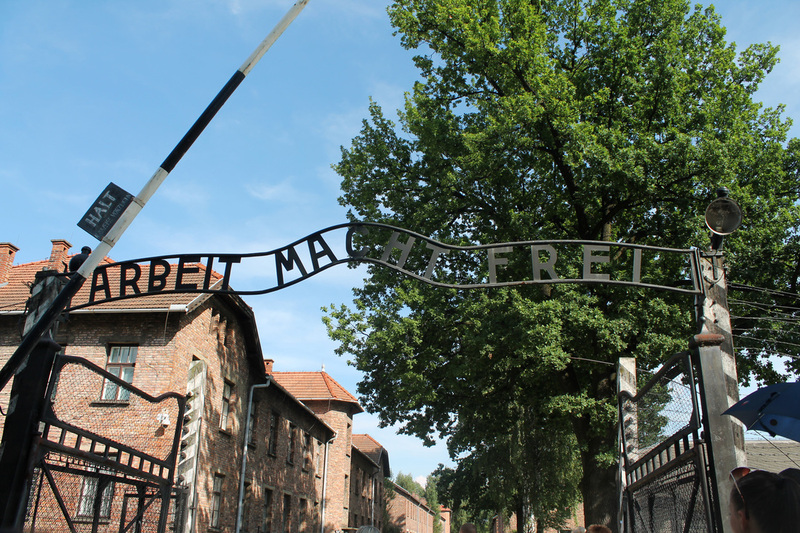 One of the saddest places on earth. 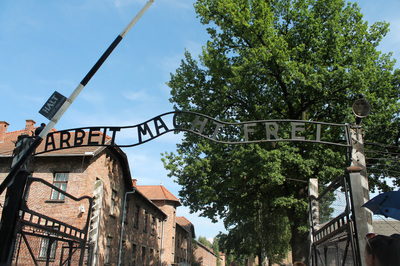 Never forget. 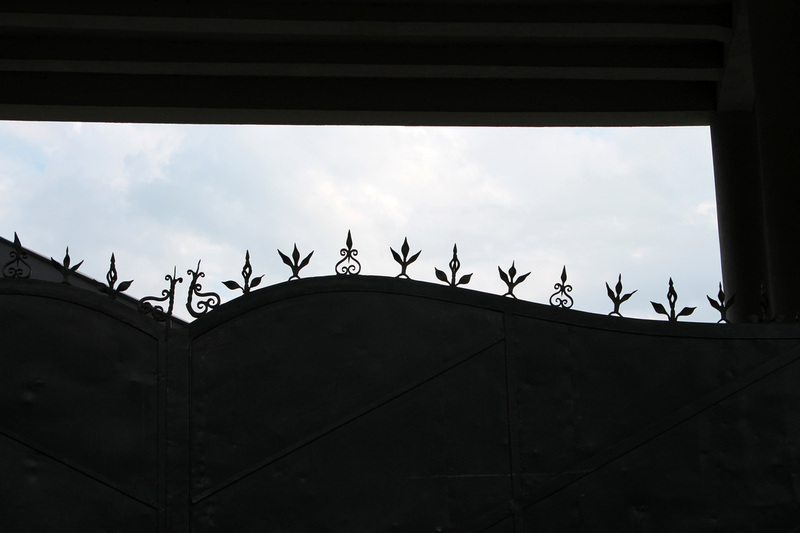 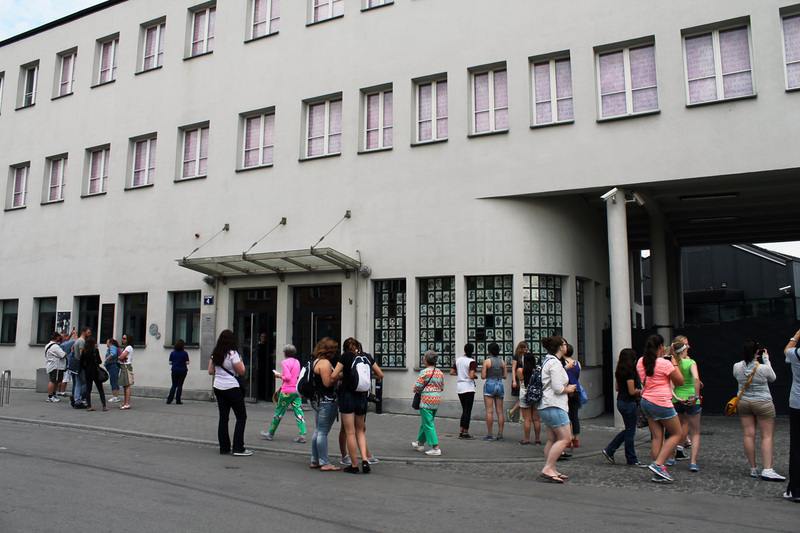 Gate at Oskar Schindler's Factory. 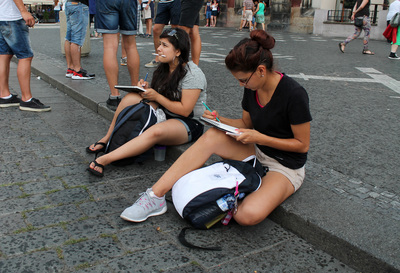 Drawing again, and about to rain again! 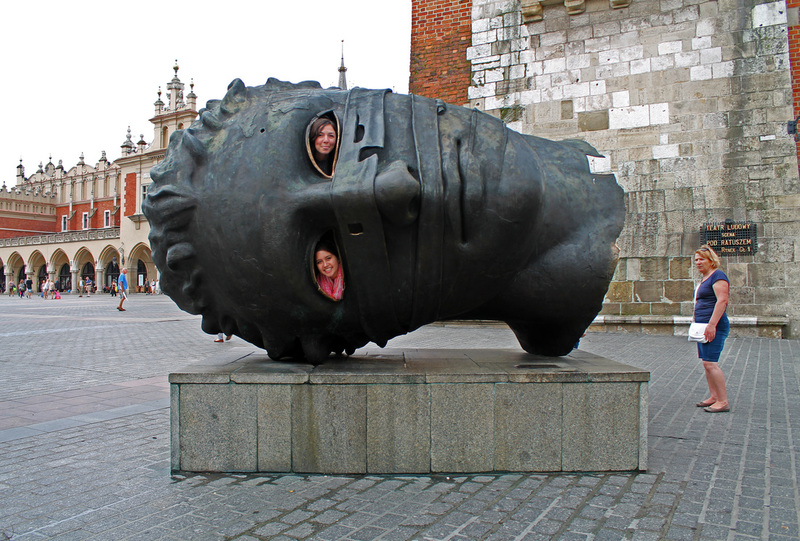 Getting inside the head of Igor Mitoraj's sculpture "Eros Bendato" ("Eros Tied") at marketplace in Kraków. Our entire group in Slovakia. 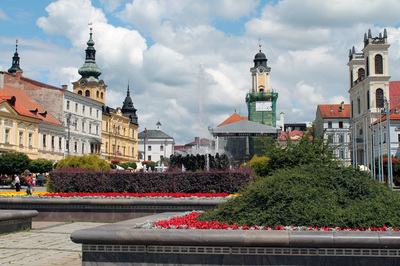 Town castle in Banska Bystrica. 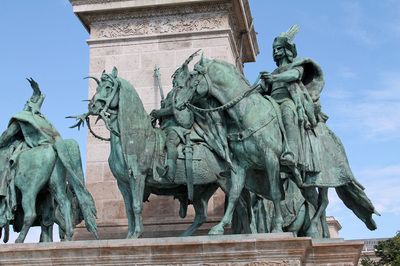 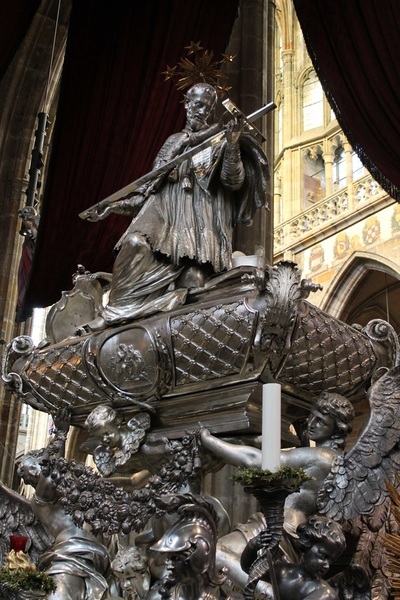 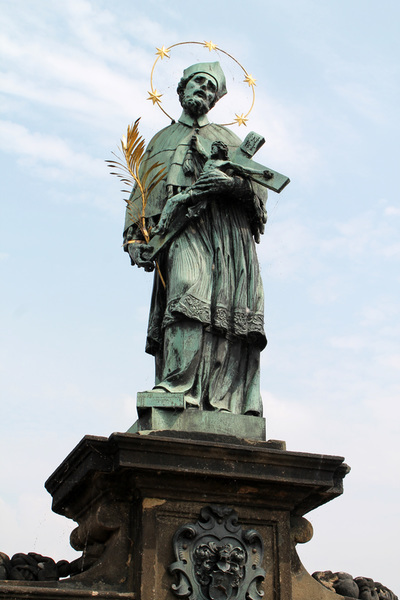 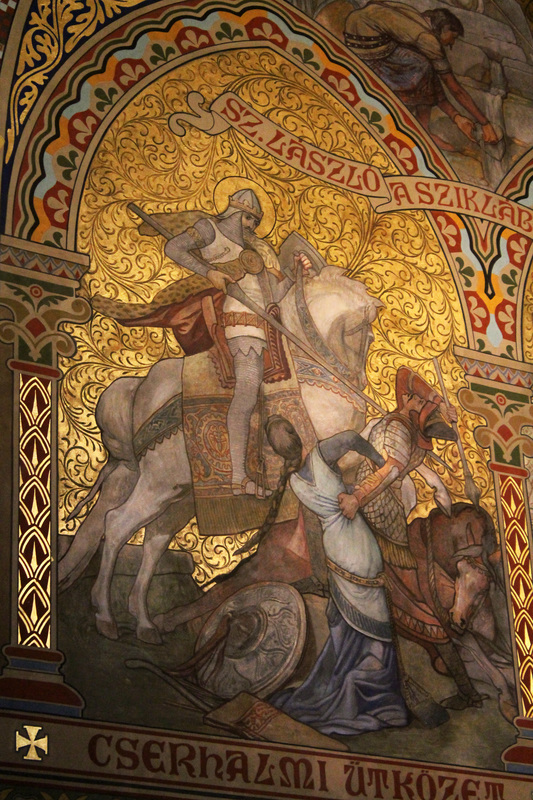 Hungarian king and Saint László. 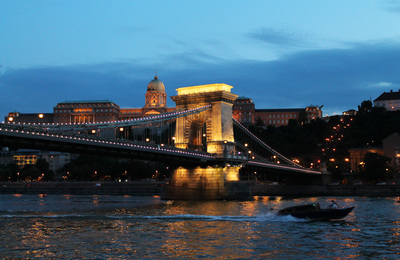 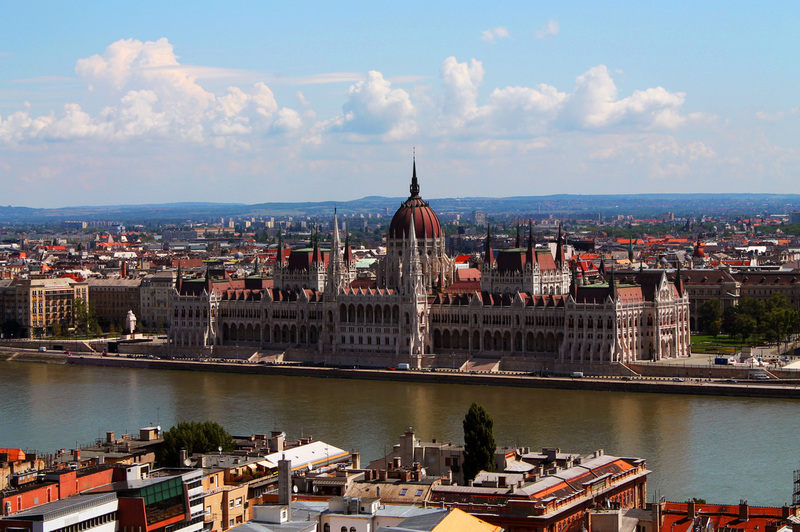 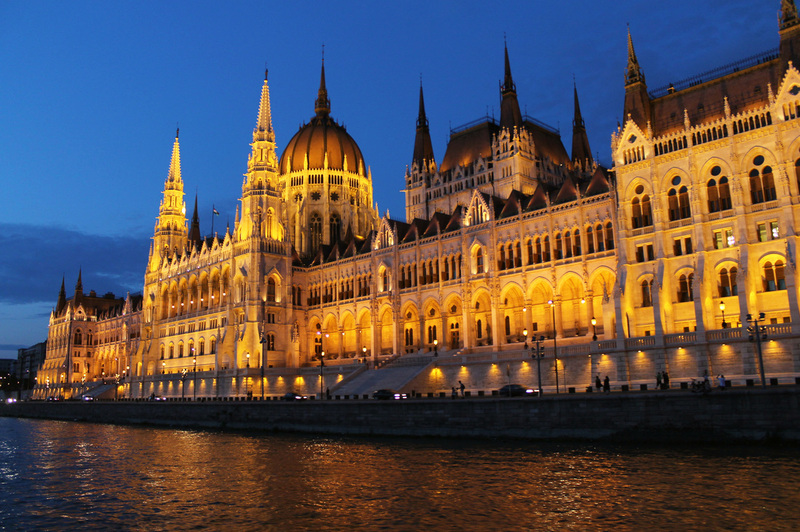 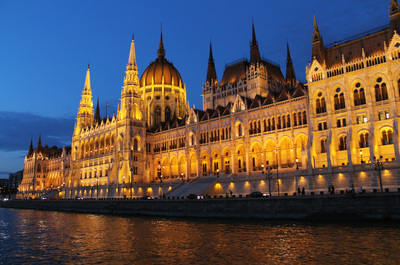 View of the Danube and the Parliament building. 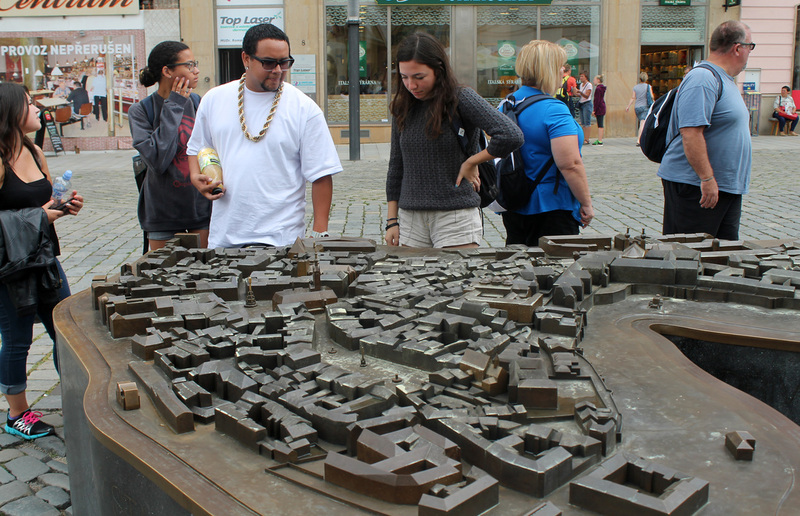 Daniel, our German tour director. 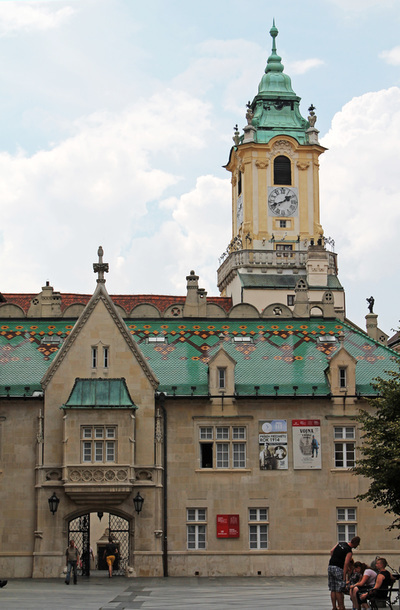 Old Town Hall Green Tile Roof & Clock Tower, Bratislava. 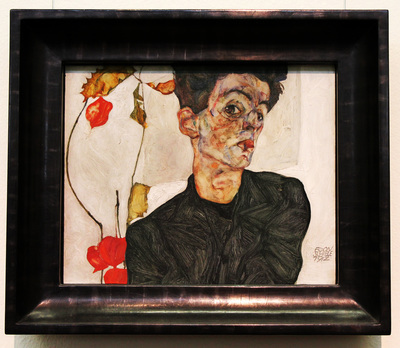 Egon Schiele self portrait at The Leopold Museum, Vienna. 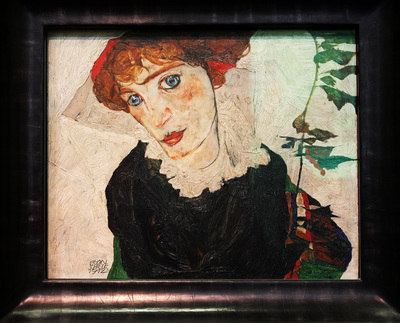 "Portrait of Wally," at The Leopold Museum, Vienna. 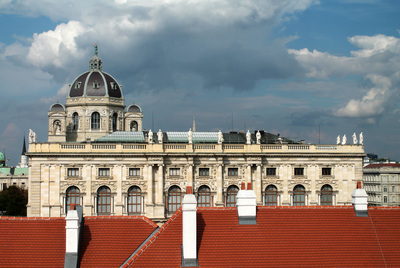 View from second floor of Leopold Museum. 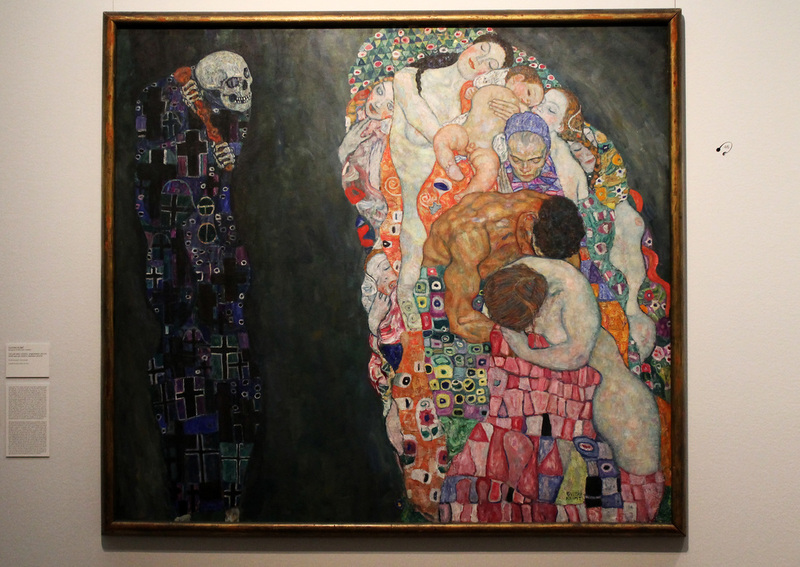 Gustav Klimt's "Death and Life," at the Leopold Museum. Close up of Klimt's pattern and adornment. 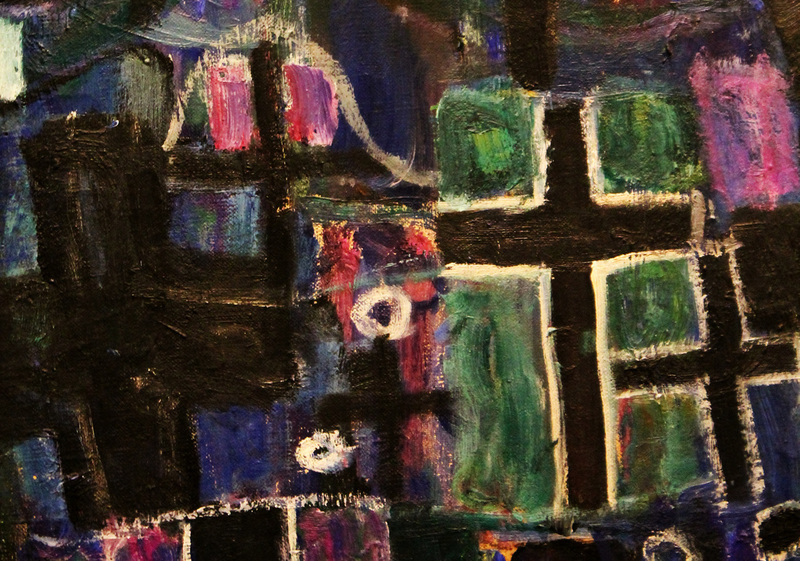 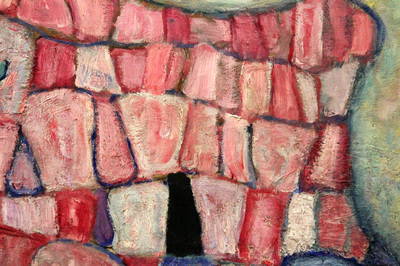 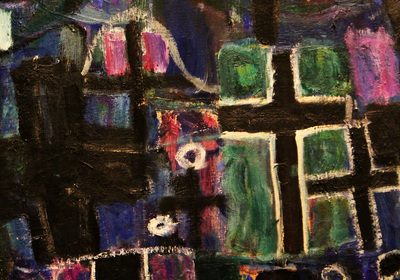 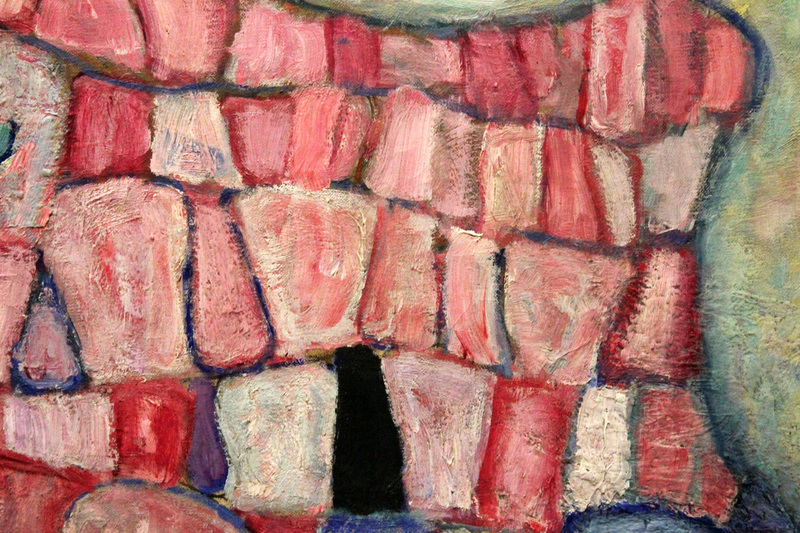 More from the same painting, detail. 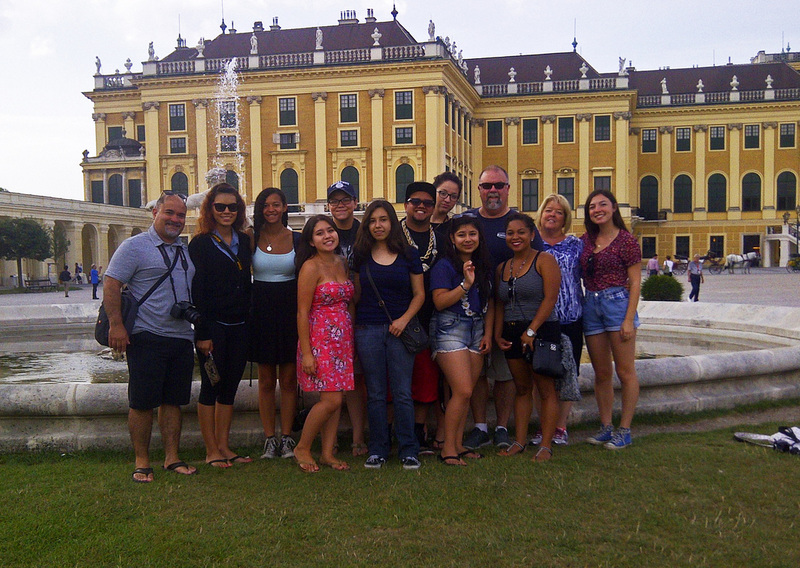 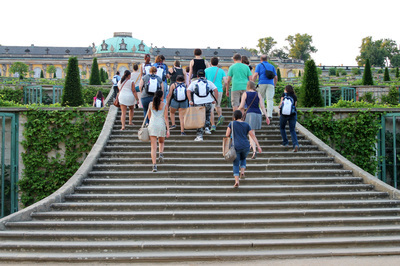 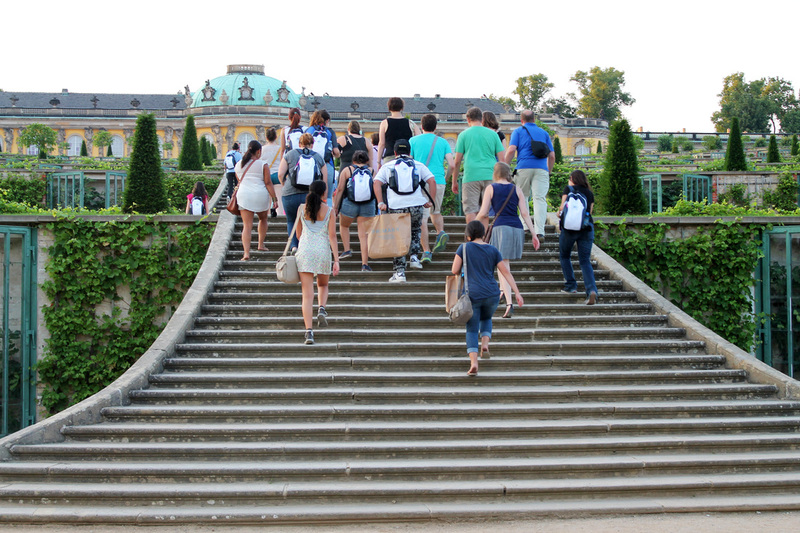 The group outside Schönbrunn Palace, Vienna. 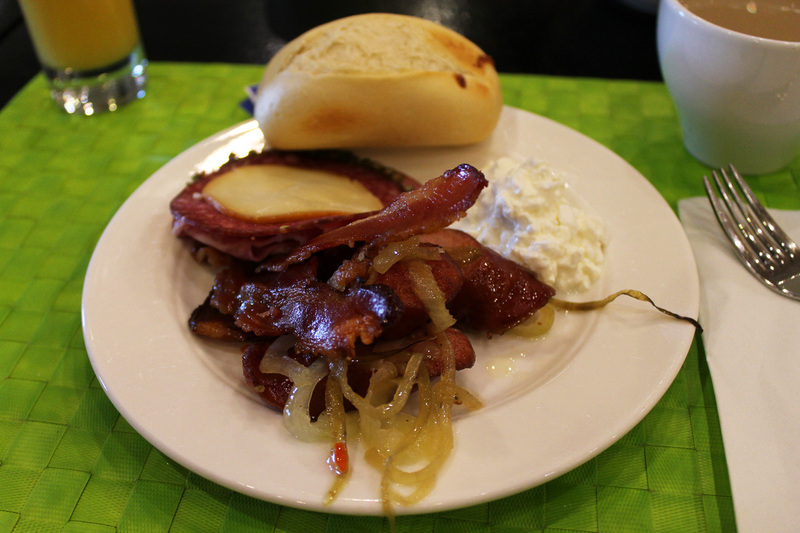 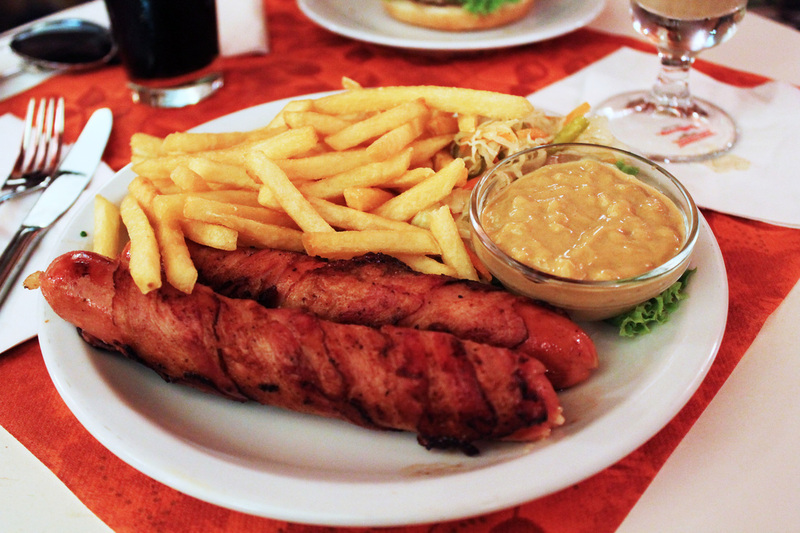 Viennese sausage stuffed with cheese wrapped in bacon served with mustard and fries. 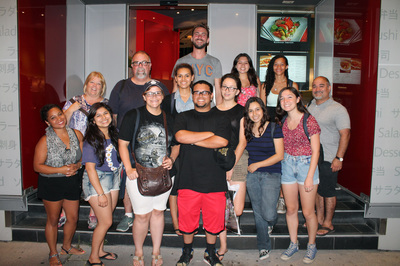 The last night of our incredible journey! 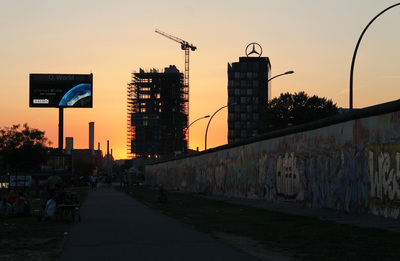 Below, chapters from the DVD I produced with images collected from all the travelers and music.